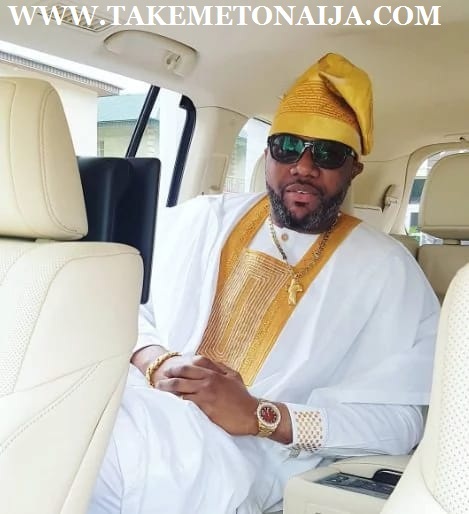 Business mogul/ Boss of Emmy Cargoes Limited, Emeka Okonkwo, popularly known as E-Money, he is fondly called Arab money due to his flamboyant lifestyle. He is the younger brother of Nigerian music star, Kingsley Okonkwo popularly known as Kcee. Many people wonder how Five Star music boss, E Money got his wealth, well wonder no more as the millionaire brother to Kcee, has gone through a lot but just a contract changed his story till date. “When we met, I was a young man who was struggling to make ends meet and she was equally very young. She was in her sophomore year at the university. Because she was my first girlfriend and the first woman I ever loved, I remained faithful to her. I was looking for a God-fearing lady who wasn’t excessively concerned with material possessions and who I could plan a future with. Fortunately, I found those qualities in her. Even though I lived in Ajegunle, with my brothers at that time, she visited me on several occasions. I remember that on one of those occasions, she fell into a gutter in a flooded street,” he told Punch. Narrating her love story, Juliet Okonkwo said she met E-Money in a video shoot by Julius Agwu in 2003. She said they started as friends before they started dating. I Four years later they were married. According to E-Money he met Juliet when he was struggling to make money. “I was looking for a God-fearing lady who wasn’t excessively concerned with material possessions and who I could plan with a future with. Fortunately, I found those qualities in her” explained E-Money on why he chose Juliet as his wife. “When we started dating, my friends were surprised that I sidestepped all the rich guys in Lekki, where I was resident for a man who lived in Ajegunle but I was not bothered. I looked forward to getting a good job upon my graduation from the university. He didn’t even have enough money to take us back to Lagos after our traditional marriage” Juliet said. “KCee was the one who lent me N20,000. I used it to pay our fare in Lagos” further added E-Money. Now, E-Money and Juliet have three sons. Juliet lives in the United Kingdom, and E-Money visits her every two weeks. Read ALSO: T.I.N Magazine's Man And Woman Of The Year 2015 Nominees Please Check And VOTE! At the moment he is the proud CEO of Emmy Cargoes Limited, Emeka Okonkwo, popularly known as E-Money, he is fondly called Arab money due to his flamboyant lifestyle. Not many people can identify him as the man who is one of the biggest players in Nigeria’s shipping, oil and gas industries and he is also the C.E.O of Five star Music that produced artistes like KCee (The Limpopo crooner), Harry Song, and Skibi. He is into oil and gas and entertainment industry as the CEO of Five Star Music. You don’t need a soothsayer to tell you that E-money’s favourite colours are gold and white. He also plays around with other colours like wine and black. Talking about his fortunes, he is a proud owner of a state of the art mansion worth over 250million naira, fleets of SUVs, sport cars, chains of businesses within and outside the shores of Nigeria. E-Money is known in various business circles. E-Money, CEO of Five Star Music recently(Dec 2015) added to his fleets, a Mercedes Benz Sprinter which costs about N30 Million it’s a sight worth beholding. He spins money like he owns a printing and minting company; he presented his brother Kcee of Five Star Music with a Mercedes Benz G wagon worth 20million naira as a birthday gift. Rumors has it his value in dollars is also in eight figures. Few days ago this 2016 E-money showed he is blessed specially by God as he just purchased an amored car the latest 2017 Lexus LX 570 jeep. The car is said to be worth over 90,000 dollars which is over thirty nine million naira ( #39,000,000) with the current exchange rate.